Knights and Bikes and Ooblets will be playable today at MIX, an event being held at (or at least near) E3 this year. At first glance, neither of these games seem to have much in common. But they’re both being published by the same company – Double Fine. The house that Tim Schafer built has been publishing games since 2014, and they’ve been doing it more frequently ever since. Their first game was Escape Goat 2, followed by the currently MIA Kickstarter project Last Life. Since then they’ve been gaining steam, with Mountain, Gang Beats, and GNOG all signing on within the last two years. This year, they’ve got possibly their three best games yet, including Everything which is not at the show. 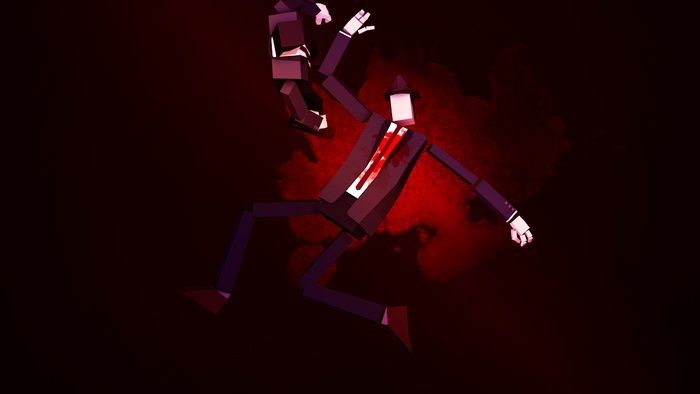 With the exception of Last Life, Double Fine has a tremendous track record as a publisher. Every one of their games has come out on time, and they’ve all been generally well-received. We have no idea what’s going on behind closed doors of course, but given their big spiel when pitching their own Kickstarter campaign was that publishers are the devil’s work, they have to be pretty good publishers themselves. The job of a publisher is to hand a developer money to make a cool thing and do some promotion. Preferably they’d do all this quietly too. Double Fine is meeting that criteria, as far as we know. They’re also doing a fine job of picking what games to publish. Let’s not ignore the elephant in the room any longer. 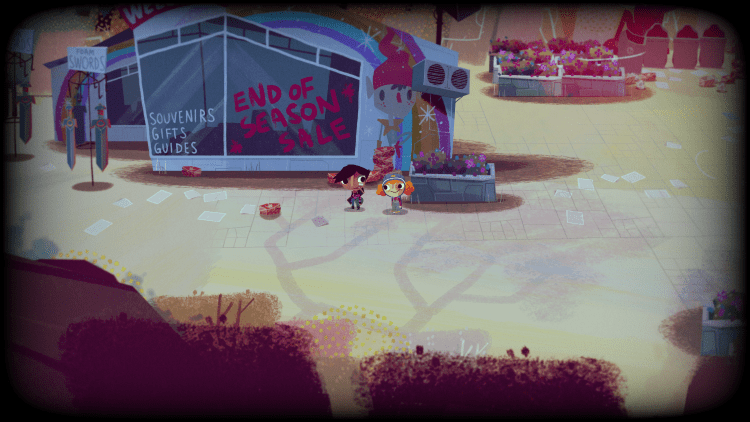 Last Life, Double Fine Presents second game, was Kickstarted back in May 2014. Since that time, the game and developer Sam Farmer have gone dark. The final update on the Kickstarter page was in June 2016, and before that there wasn’t once since December 2015. Double Fine hasn’t mentioned it since the Kickstarter campaign, so there could be a chance they’re not even publishing it anymore. Communication from both Farmer and Double Fine is appalling. Maybe that’s not surprising given Double Fine’s current policy of hiding in their shell, but that doesn’t make it okay. Compared to their previous work, this is a massive black mark. With their previous Presents games, they were always leading the charge with promotion, both in the press and their own site. But it’s as if Last Life doesn’t exist anymore. That’s the impression you’d get if you checked out their website. Their forum lists Everything, GNOG, and Bikes and Knights, but none of their other published games, including Last Life. How Good Does that Make Double Fine? It’s a tricky thing. If it weren’t for Last Life, I’d say Double Fine is possibly one of the two or three best “indie publishers” in the business. But their silence on a game that’s gone missing, a game they’re publishing, is deafening. It’s made all the worse by the fact that the game was Kickstarter, and backers are already wondering if the game is dead. Double Fine doesn’t seem to be the problem here, they’re just making things worse. The real problem is developer Sam Farmer. 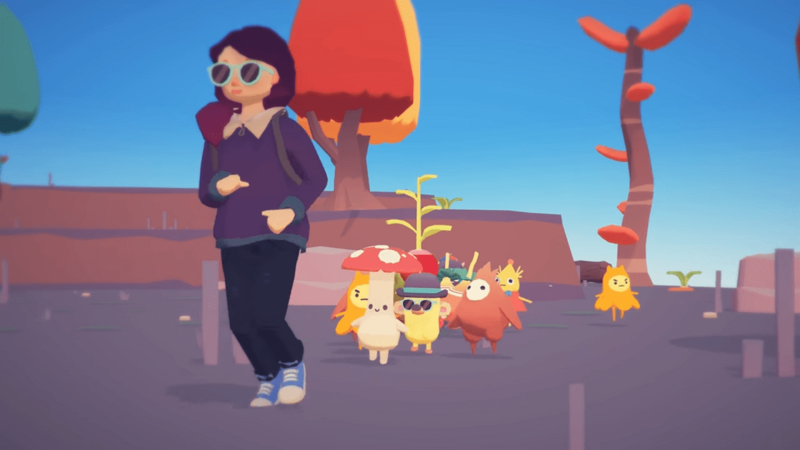 If you’re a good developer, like the ones working on Knights and Bikes, Ooblets, or Everything, you’re probably going to love working with Double Fine. But if you’re a questionable developer who’ll take Kickstarter money and disappear for a year, you’ll probably love them just as much.